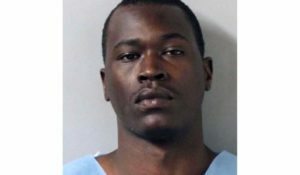 NASHVILLE, Tenn. — A Tennessee man who went on a shooting rampage at Burnette Church of Christ last September, killing one and injuring seven others, has been indicted on 43 counts by a grand jury. The indictments against Emanuel Samson include one count of first-degree murder, seven counts of attempted first-degree murder, 24 counts of aggravated assault, and three counts of civil rights intimidation. “The grand jurors of Davidson County, Tennessee, duly impaneled and sworn, upon their oath, present that: Emanuel Kidega Samson on the 24th day of September 2017, in Davidson County, Tennessee, and before the findings of this indictment unlawfully, intentionally, and with premeditation did kill Melanie Lorene Crow, in violation of Tennessee Code … and against the peace and dignity of the State of Tennessee,” the official indictment document reads, referring to the woman who was killed in the parking lot of the church. “The grand jurors … present that … Emanuel Kadega Samson … recklessly did engage in conduct which placed or which might have placed persons present at the Burnette Chapel Church of Christ in imminent danger of death or bodily injury, said offense being committed with a deadly weapon,” the document states. Read the indictment in full here. As previously reported, Samson, 26, reportedly was wearing a mask and holding two pistols when he arrived at Burnette Chapel Church of Christ in Antioch on Sept. 24 shortly after the end of the morning service. He first came in contact with member Melanie Smith, 39, as she was walking to her car, and shot her to death. Samson then proceeded to enter the church where he “began indiscriminately shooting” at those inside, according to police. Robert “Caleb” Engle, 22, an usher, confronted Samson, being pistol-whipped by the assailant. He then went to his vehicle to obtain his own pistol, as he had a permit to legally carry a firearm. Engle then ensured that Samson stayed still until police arrived on the scene. Following the incident, some members of the congregation advised that Samson had attended the church a year or two prior. A 2010 post on his Facebook page reveals that Samson, at one point, was aspiring to be a preacher. “Everything you’ve ever doubted or made to be believed as false, is real and vice versa,” Samson also posted. In October, Metro Homicide Detective Steve Jolley testified in Davidson County Criminal Court that Samson told him that he had been hearing voices. Samson also reportedly advised that he had been struggling with emotional pain, and began to cry a bit when asked about the matter. Samson is scheduled to be arranged on Tuesday before Judge Cheryl Blackburn.